Dry bags can be a very important part of your fly fishing gear collection. Fishpond is serious about keep gear dry. They know we hate wet gear. Let’s face it. When we are fishing, we are in or near water. It rains too. Some of the items in this dry bag category are just that, “dry bags”. Others are multiple use, but they do keep your gear dry. For instance, Fishpond makes a sling pack that is waterproof. I use one for my fly fishing gear, and another for a digital SLR camera. So, that is included in this category. Fly fishermen not only wade, we spend a lot of time in boats, canoes or kayaks. When I choose a piece of fly fishing gear, keeping things dry is always on the top of my list. That makes me a good Fishpond customer. Our boat looks like a Fishpond ad. We have Fishpond everything on our boat, canoe and kayaks. 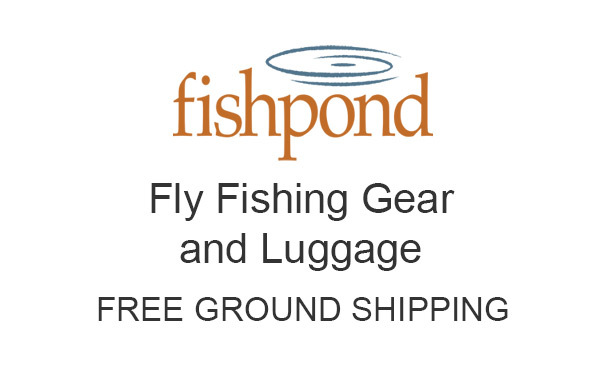 So, please enjoy browsing through this great category of Fishpond fly fishing gear. Everything here will keep your tackle, clothing, digital devices and almost everything you own and take on a fishing trip, dry. Every Fishpond Dry Bag shown in this category is current and part of Fishpond’s 2018 collection. Order from us and Ground Shipping is Free in the Continental United States. You can purchase online or call our store in Townsend, Tennessee at 865-448-9459 to order. We are family owned and have been since 1994.